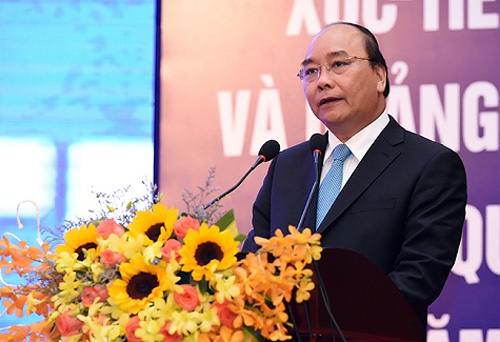 PM Nguyen Xuan Phuc on April 17 highlighted several advantages of the central province of Quang Tri while attending the locality’s investment and tourism promotion conference on April 17. The conference is expected to give a strong boost to economic growth of Quang Tri which one of the poorest localities in Viet Nam. 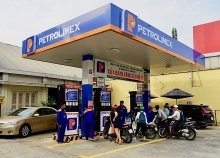 According to PM Phuc, Quang Tri boasts for strategic location as it lies at the gateway of the East-West Economic Corridor that connects Viet Nam, Laos, Thailand and Myanmar through Lao Bao international border gate. The central province is also known as home to many famous heritages, relics, beautiful beaches as well as creative and hard-working people. PM Phuc noted that the province has made progress in improving its provincial competitiveness index over the past three years, jumping from 59th in 2013 to 53th in 2014, and 43th in 2015. He reaffirmed that the Government will act as a development creator and determine to create optimal conditions for citizens and businesses. He took the occasion to name four major tasks for the locality to accelerate growth, including (i) enhancing inter-regional connectivity, (2) creating favorable investment environment; (3) developing high quality workforce; and (4) upholding self-reliance spirits. Provincial Party Secretary Nguyen Van Hung took the occasion to call investors to join 17 key projects, including a US$1.5 billion power plant. 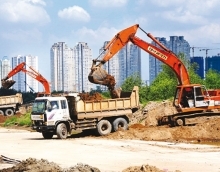 The province promised to shorten time required for approving investment orientation down to10 working days since the date of receiving valid dossiers and time required for granting license to foreign workers within four working days. The local authorities also vowed to offer the best possible incentives for enterprises as in line with the Government’s regulations while standing ready to hold dialogues with investors at any time./. What do the insiders say about ODA?